Local citizens will have the opportunity next month to tell the Crested Butte Town Council what they think of plans to expand lift-served skiing onto Snodgrass Mountain. Crested Butte Mayor Alan Bernholtz announced plans last week to hold a Town Hall-style meeting on Monday, March 24 on Crested Butte Mountain Resort’s (CBMR) proposal to expand its resort onto neighboring Forest Service lands. Citizens will be allowed to speak their minds on the topic with the intention of passing the comments along to the U.S. Forest Service. “[The Forest Service] would like to hear where the town stands and where the town is coming from,” Bernholtz said during a Town Council meeting on Tuesday, February 19. He says the town has held several meetings about the Snodgrass proposal in the past two years but had not allowed the public to speak. This session will be devoted to giving residents a chance to express their opinions. Plans to expand the ski area onto the 11,145-foot-high Snodgrass Mountain, adjacent to Mt. Crested Butte, have come and gone for more than two decades. Since 1982 Snodgrass Mountain has been proposed to be developed into more intermediate skier terrain. The idea was placed on the back burner due to financial trouble and community opposition. Plans for Snodgrass resurfaced in 2005 when CBMR submitted a preliminary proposal to the Forest Service for consideration before it officially entered the National Environmental Policy Act (NEPA) process, which would determine impacts of the development. The Forest Service and CBMR agreed to explore potential “deal breakers” before the federal agency accepts the resort’s official application. Among potential concerns was the geological stability of Snodgrass Mountain. The Forest Service issued a Snodgrass geological hazard report in October 2006, which found landslides and slope movements were the main concerns that development of the mountain would pose. The report stated that those could be aggravated through normal activity of a ski resort, such as snowmaking, as well as construction of road cuts that could sacrifice the integrity of the slopes. In response, CBMR hired its own geologist to review the Forest Service’s findings. According to Forest Service district ranger Jim Dawson, the United States Geological Survey is still waiting for further documentation from the ski resort’s geologist before it proceeds with its review. Dawson said the Forest Service is not taking official public comment on the Snodgrass proposal at this time, but citizens are always welcome to submit any kind of correspondence. “Anyone can comment at any time,” he said. 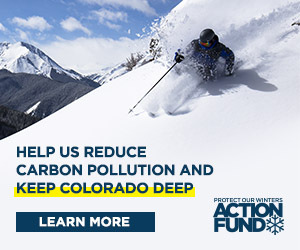 Dawson has said that the Forest Service will also gauge public will and the concerns of the Rocky Mountain Biological Laboratory before it allows the proposal to officially enter the NEPA process. There is no deadline to comment and it’s unclear if and when the proposal will move into NEPA. The Town’s work session is scheduled from 5:30 to 7:30 p.m. on Monday, March 24. A location has not yet been selected. Crested Butte town manager Susan Parker said, “The council would like to hear from the community on all sides about how they feel about Snodgrass.” Residents who cannot attend may submit their comments in writing; comments will be added to the record. Crested Butte residents will have priority to speak during the hearing, but other citizens will be allowed to express their opinions as well, according to Bernholtz. Mt. Crested Butte Mayor Chris Morgan said Mt. Crested Butte has not made plans to hold a similar meeting but will likely hold one in the future.